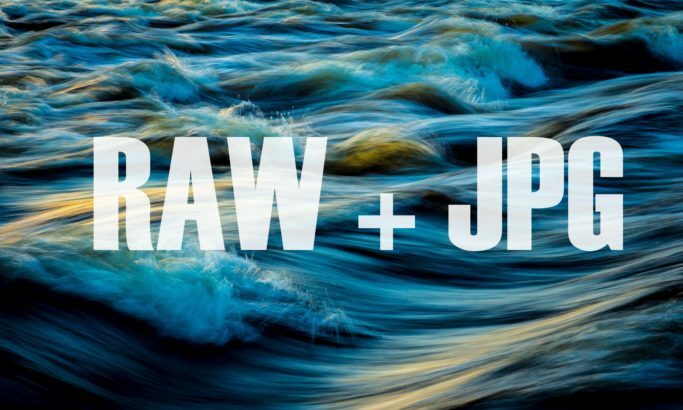 When you have photos in RAW+JPG, work with them may seem complicated at first. But Zoner Photo Studio X can Group them, making your browsing and your editing work here far clearer. No matter whether you’re a fan of shooting to JPG, to RAW, or to both at once, Zoner Photo Studio X is prepared to work with and for you. Start by choosing which photo in a RAW/JPG pair you usually work with. That is, whether you prefer editing a pair’s RAW or JPG version. 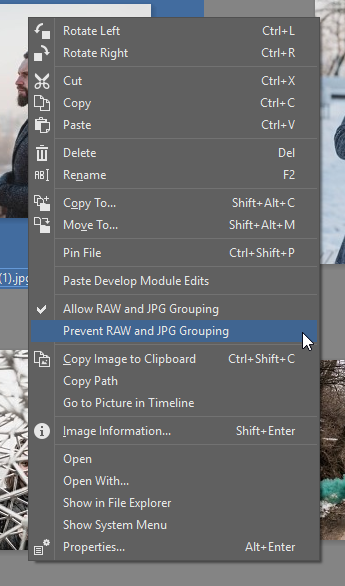 In the Manager module, click the arrow next to the Sort by icon, and then use Group RAW and JPG. Then choose which of the formats has a higher priority for you. Set which format you prefer. Then for each thumbnail, you can see an icon at the top right with information on format grouping. You can tell which format is set as preferred by the white background behind the text for one of the formats. If for example, you choose the JPG preference, that means that everything you see and edit for grouped photos is the JPG version. So if you prefer to work with JPG, and you only have RAW around for security, set the JPG preference. Then wait to switch into RAW until you need to make some major edits. Switching manually like this when you’re making adjustments in the Develop module is easy. 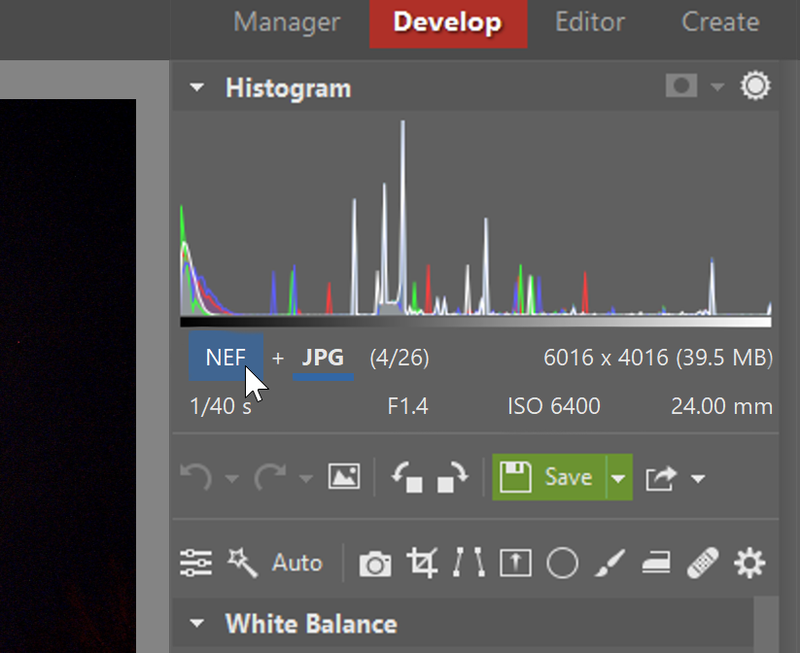 Just click the format icon below the histogram. The format that’s underlined is always the active format. ZPS X remembers the changed option at the moment when you go to make non-destructive edits. Switching between the RAW and the JPG in a pair is easy. Ever realize while you were making your edits that JPG wouldn’t be enough? That you’d need to work with RAW in Develop? Just copy or move your edits to the other format in the pair. The most convenient option for you here will be Copy Edits, because after you use it, both files will look the same, that is, they’ll contain the same edits. 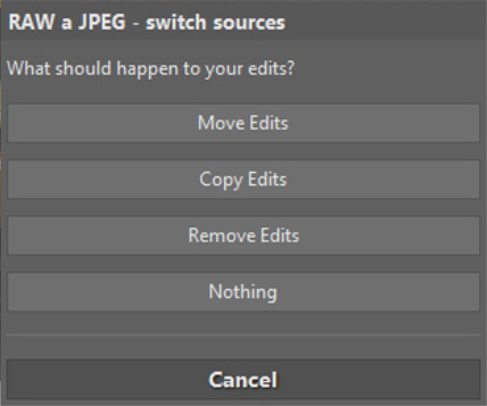 You can copy or move your edits to over to RAW in two clicks. So you don’t have to do them all over again. 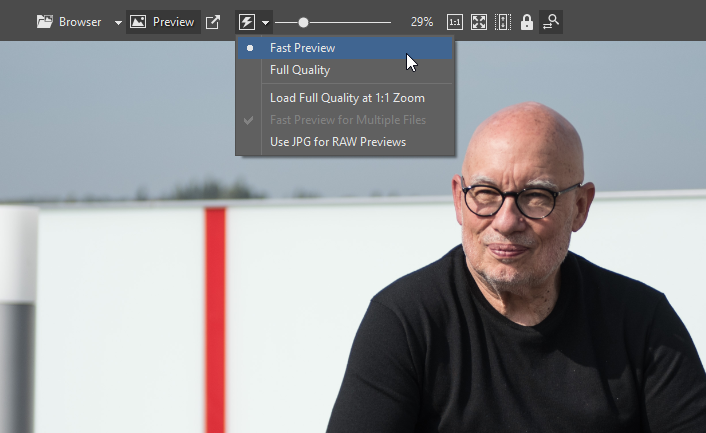 Use RAW preference if you prefer to edit your photos in RAW. To speed up your photo management with this option turned on, make sure that you also have Fast Previews active. This is a new feature in ZPS X where the program preloads a smaller version of files as previews for them, and you can then browse quickly among even the biggest photos. The option for full quality at 1:1 zoom is useful if you like to check pictures’ sharpness after zooming in to their full resolution. Turn this option on, and clicking a photo will always load it at 100% size, letting you view your RAW files at full quality. 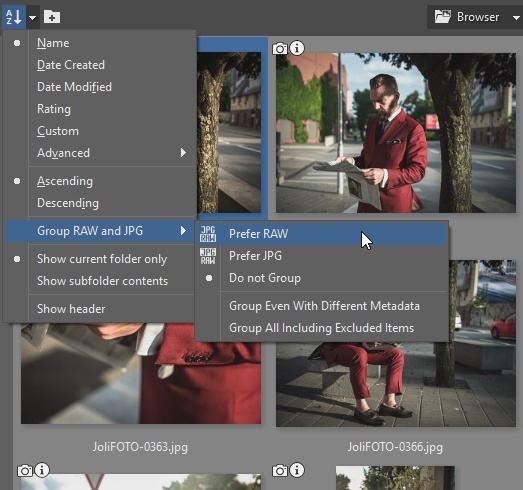 TIP: Turn on the Use JPG for RAW Previews option, and the Manager will show you the preview produced by your camera, with its style, color, and correction settings. This is useful when you want to know how a photo might look after processing, rather than just its basic state from RAW. So if you shoot to RAW+JPG, you’ll appreciate this function. It would be a shame not to grasp the opportunity to group RAW/JPG pairs and to make your work easier via Fast Previews. So download our latest, Zoner Photo Studio X, try it free for 30 days, and take advantage of both formats’ potential today. Already used up the 30 days? No problem, with the new spring update, we’ll give you 15 more days to try it for free, so you’ll have a chance to experience all the improvements for yourself.